To celebrate the city’s floral extravaganza, museum volunteers are holding a “Camellia Pin-On Day” that promises to welcome visitors to a bit of state history and send them away with a flower and a smile. 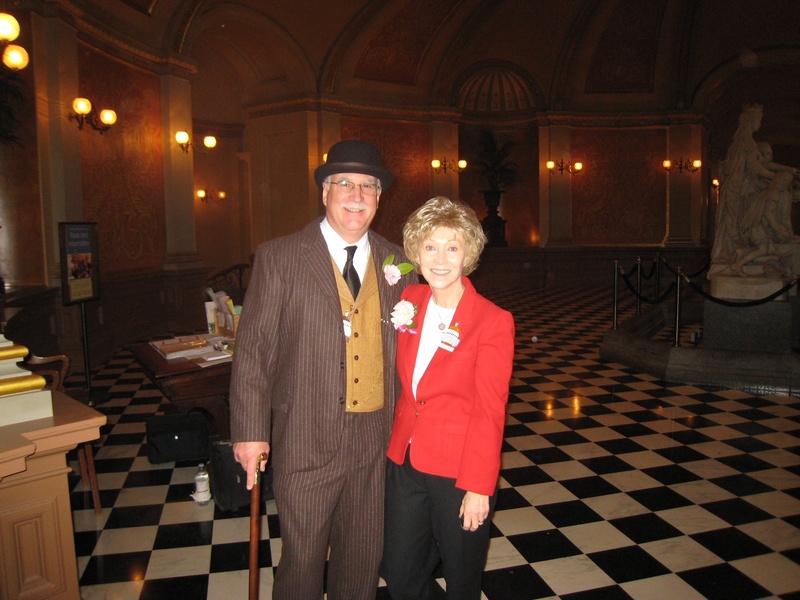 Volunteers will create and distribute complimentary camellia corsages to anyone who stops by–State Capitol visitors, California State Legislators, the Governor’s office and Capitol staff. And these are no ordinary flowers — the camellias will be carefully cut from Capitol Park bushes and trees by the Department of General Services groundskeepers (gotta love those guys). Camellias have bloomed in Sacramento since the 1850s when first pioneers planted seeds from Boston. Today, Capitol Park, and gardens throughout the city, are filled with the spectacular late-winter blooms — brightening the spirit, lifting the heart, lightening the step. With 3,000 different types of bushes and small trees, camellias thrive thorughout the Sacramento area and some of the original plants brought in by early settlers are still growing around the city now. Camellias – also known as the Queen of Winter Flowers because almost all varieties of the genus that bloom from late fall through late spring – are for many gardeners synonymous with history, beauty and refinement. These flowering evergreen shrubs or small trees, idealized in Chinese and Japanese art and literature for centuries, are indigenous in much of Asia. Camellias have been treasured in Europe since first being introduced there in the mid- 1700s, and specimens were first cultivated in the United States in the late 1800s. Thriving first in the American Southeast and along the American West Coast, the camellia genus included Camellia sinensis, from which black and green tea is made from the young leaves. Interest in camellias reached a fevered pitch early in the 20th century when Western plant hunters scoured the globe for new plants to record, collect, propagate and eventually hybridize. It was during this time that individuals and botanical organizations began collections of the prized plants. Sacramento’s Capitol garden being a good example of a horticultural collection. 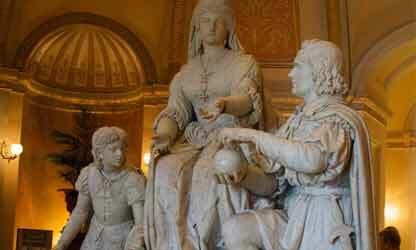 Statue in the Capitol Rotunda. The California State Capitol Museum is operated by California State Parks under contract to and supported by the California State Legislature. History of the Camellia Society of Sacramento — The first Camellias reached Sacramento, February 7, 1852, according to A.E. Morrison, then Sacramento County Agricultural Commissioner, They were imported from Japan by James L.L.F. Warren, a seed store proprietor, at Front and J Streets. James Warren’s first plants came to Sacramento by a circuitous route. They were shipped from New York to Panama, across the Isthmus to the Pacific and again by ship to San Francisco, then by riverboat to Sacramento. The popularity of the camellia grew until the flood of 1861 and 1862. The raging Sacramento and American rivers destroyed many of the gardens. 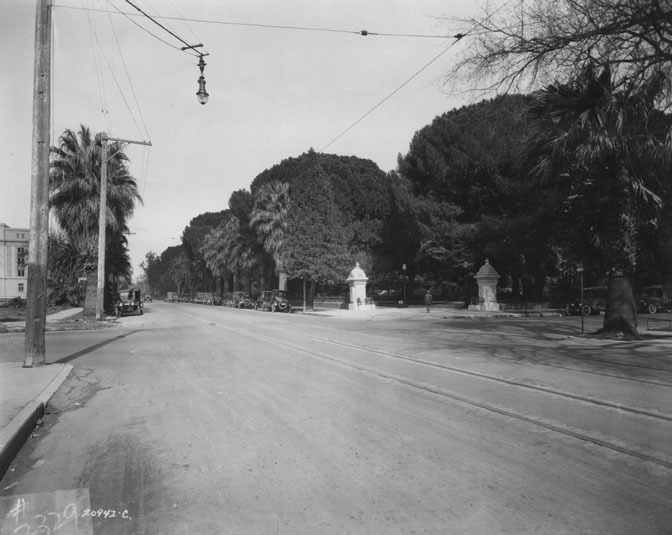 Interest in the camellia dwindled until about 1910 when a move was started to make Sacramento know as “The Camellia Capital”. However, by 1915, the camellia again declined. For the next eight years the camellia was a forgotten plant. Then in 1923 a nursery from Southern California secretly bought a large number of camellias for a very low price and shipped them nouth. When the local citizens became aware of this activity, they’re interest was peeked and enthusiasm for camellias once again revived. But, how to maintain that interest? The answer, the ladies of the Tuesday Club decided–Camellia Shows! The first camellia show in Sacramento was held in April 1924. After three shows, with increasing interest from year to year, the Sacramento Garden Club was formed and each year conducted the Annual Camellia Show. For many years, from 1931 to 1944, the chairman was Mrs. H. Pisani, who developed many of the programs that included a census of camellia plants in Sacramento, and finally a Children’s Camellia Parade. The shows became an established event in early March of each year, with a queen and brass bands, but the increased size of the show required more space in which to hold it. As a result, the show was moved to the Memorial Auditorium. 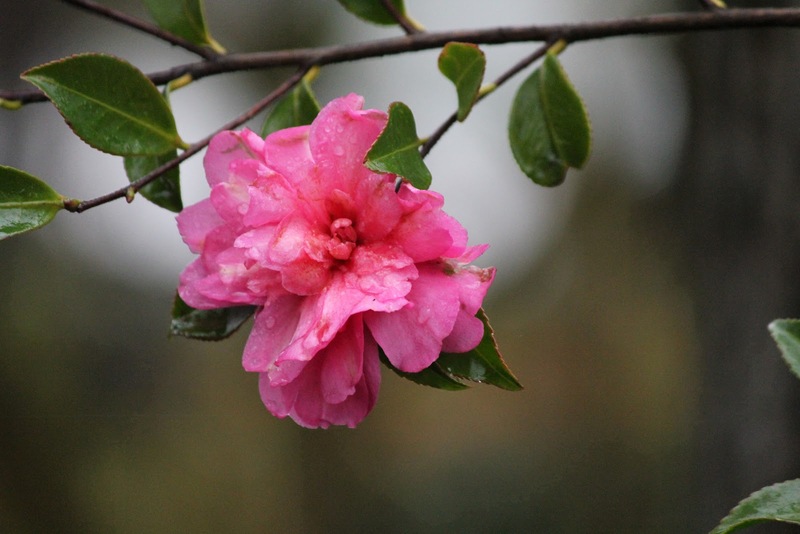 By 1943, enthusiasm over camellias had reached such a level that at the November 17, 1943 meeting of the Camellia Planting Committee, Jerry Olrich, State Gardener, made an impulsive motion, “Mr. President, I move that we form a Camellia Society in Sacramento right here and now”. The motion was seconded and carried by unanimous vote and in 1943 the Camellia Society was born. The dues were $2.00 per year! In the Capitol park today more than 800 different varieties can be found throughout, with blossoms in white, deep red and every shade in between. Some are even striped and speckled in a combination of colors. Many of the grove’s camellias are heirloom varieties and no longer available commercially. The grove is especially beautiful from fall to spring when the dark, leathery leaves complement the colorful blossoms. In 1941, the city adopted the camellia as its official flower. During Camellia Week of February 20th to 25th, 1950, the Camellia Society set a goal for residents to plant up to 50,000 new camellias. 10 local nurseries, 20 local stores and three newspapers promoted the effort and the citizens achieved the goal. The plants sold for $1.50 each. After more than a century of camellia culture and years of camellia shows and national recognition for a city replete with camellias, it’s nice to see homage is still being paid to the beautiful flowering shrub that fills the city’s gardens and parks during the dreary days of winter. Even if you can’t get to the capitol, celebrate Sacramento’s Camellia week by pinning one on. It’s a quaint custom, fitting for a city that has the good sense to celebrate this equisite flower.